If you’ve been immersed in the world of niche websites (like me) or if you’re looking to get started – one thing that is constant is that we are always looking for new niche ideas or keywords to write articles around. This post does 2 awesome things! One – it teaches you some very specific techniques for finding niche ideas. Two – it introduces you to a (new) keyword research tool that is really awesome for beginners. Also, experienced keyword researchers will like some of the aspects of this tool as well. I asked Nick (from Ferzy.com) to write this article – as he is an expert on how his keyword research tool works and how to properly use it. I was pleasantly surprised at the added value he provided in this post as far as teaching us exactly how to use Ferzy to find niche ideas for Amazon Affiliate websites. The rest of this post is written by Nick (except for the last section in italics, written by me). This summer we are taking our extended family on a trip around the fiords and glaciers of Norway! This is going to be a long, roundabout way of getting to the point I am trying to make, but there is no better way of getting from here to there – so bare with me! So, in preparation for this summer’s trip I started looking for a set of walkie talkies, since we are going to be renting 2 cars. Low and behold, though, except for the regular commercial websites, Amazon, BestBuy, eBay, there was very little information to be had. Of course the challenge is to find those niches and a new online tool, Ferzy, can make that job so much easier. Before we launch into exploring the potential of new and different websites, we need to come up with new ideas. Unfortunately many of us just look around at the problems we are currently facing, like my need for walkie talkies, and if those ideas do not pan out, we are stuck. That is why I like to constantly explore the Amazon Best Sellers page. I am still going to look for niches that are of interest to me, because the more you are personally involved in a market the more personal experience and passion you are going to put into that website! At the same time though, it is very likely that I will find products that may not have been on my radar for a long time. As of the moment of this writing, this is what the Amazon Best Sellers page shows and you can click on the picture to go to Amazon right now and bookmark the page. 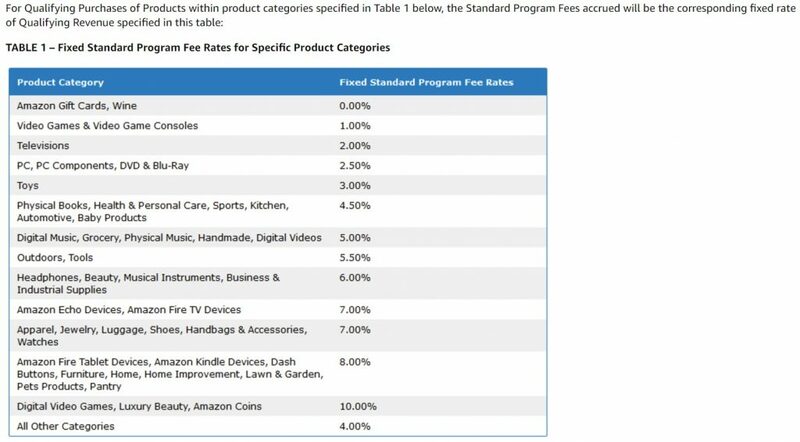 However, before we jump right into that let me warn you that Amazon has different affiliate rates for the different categories of products, so we need to keep that in mind while searching for products. While you are looking through the list of Amazon’s best sellers it is important to remember that you are not looking for products but for niches. 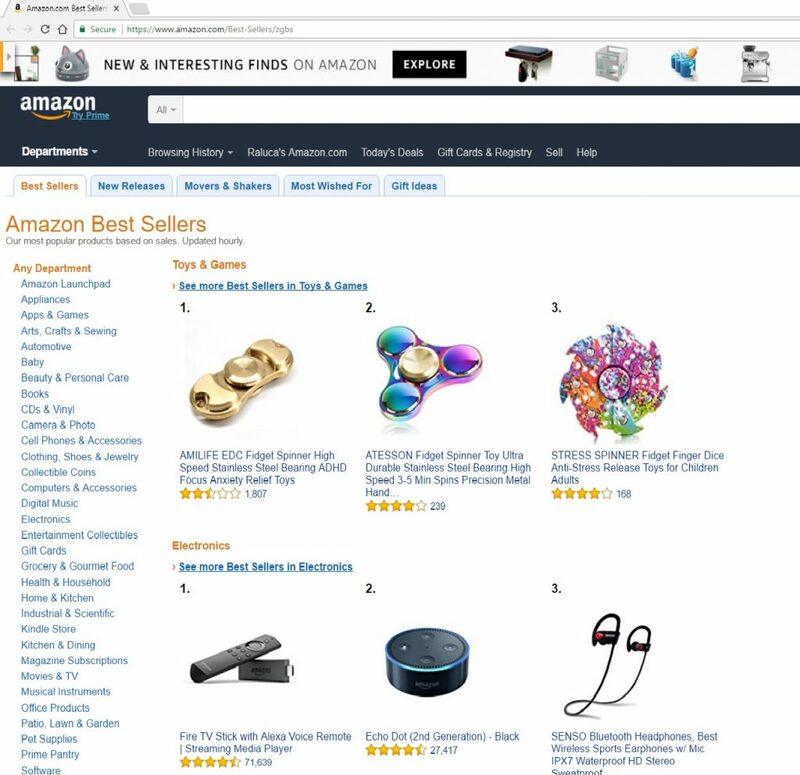 So while the top product in the Toys and Games category is the AMILIFE EDC Fidget Spinner, I will actually look into the possibility of creating an article around fidget spinners. Even more important is the fact that you need to add qualifiers to your categories to have any chance of finding an easy niche. So I will not be analyzing fidget spinner, but instead I will take a look at keywords like “best fidget spinner”, “top fidget spinner” or “fidget spinner reviews”. I am also going to be looking at products that are of a marginal interest to me and that have the potential of staying on the market for a long time. So, besides the fact that I was never even tempted by the fidget spinner craze, I would not pursue this line of products because they are almost certain to be just a craze, and be forgotten by fall. Finally, because this niche shopping can be very tiring and also time consuming, I like to go all out and select at least 15 niches, because I am certain to abandon at least half during the analysis process. Since I do not like the fidget spinner niche for all of the reasons I have already mentioned, let’s go back to my initial interest, which were walkie talkies. To give myself a fighting chance I will actually analyze the potential of the “best walkie talkie” keyword. I will go to Ferzy.com and enter the keyword in their search box. And this is what I get back. There is a lot of information here but do not worry about squinting in to see the details. Looking at some of the details on this page are actually my next steps so I will give you detailed print screens of each significant part of the page as I look at it. 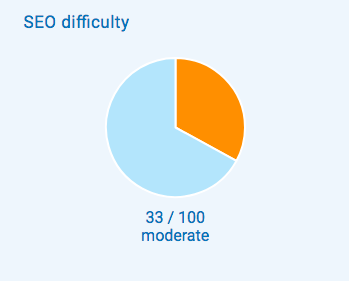 Check out the SEO difficulty chart. Note that Ferzy gives you a score under the pie chart of 33 points out of a maximum 100. It also tells you that this is a moderately difficult keyword. Personally, I prefer to make up my own opinion as to how difficult a keyword really is base on the rest of the information, but this is the first place I glance. I will also look at the bar graph on the right to see how old my competition websites are. 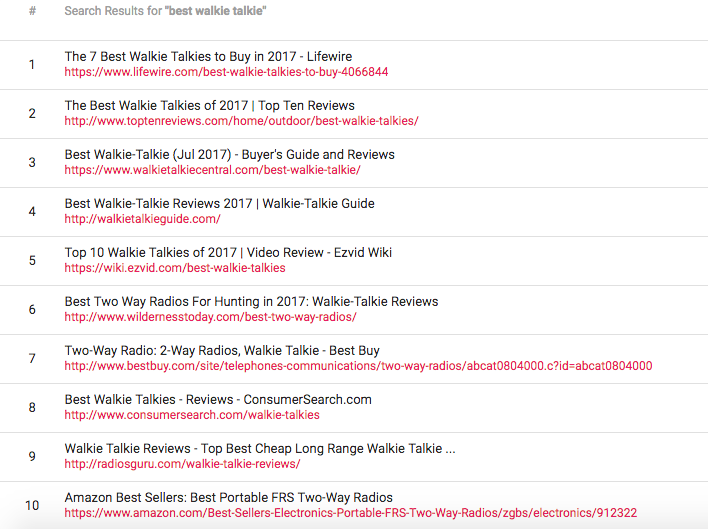 These are the top 10 results Google turns out when you search for “best walkie talkie”. In this case you can see that several lines are fairly long, meaning these are old websites with a strong reputation. However, I can see fairly short lines on the 3rd and 4th spots, which tells me almost immediately that new guys have made it through so I have a good chance of repeating and beating their performance. Try Ferzy for FREE Today! Next I will visually assess my competition. 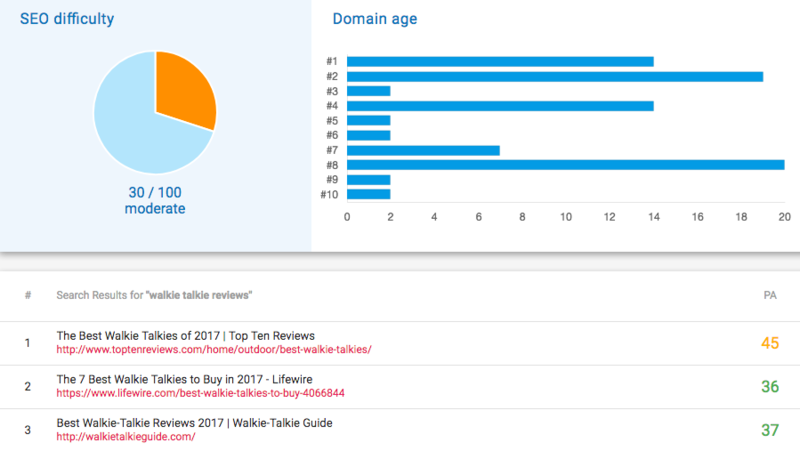 I happen to know the type of articles Lifewire and Top 10 Reviews put out, because I meet them often in my searches but I encourage you to take a look because they have fairly different strategies. LifeWire creates simple top 10 product reviews, so in terms of content they are pretty standard and easy to beat. Top Ten Reviews, on the other hand, comes out with a lot of general info that a reader might need to know, so I view them as a strong competitor in terms of content. Luckily though, they represent just a single spot and I would not mind sharing the front page profits with them. Better still, the other next 2 websites are obvious WordPress websites with simple top 10 lists so I can go ahead and go deeper with my analysis. To the right of the website list you have some very significant details about each one of them. First off you have PA and DA, meaning Page Authority and Domain Authority, (these are scores from 0 to 100). DA tells you how strong a website’s authority is, and it will empart some of that mojo to the particular page that references my product. However, a low PA might mean that the specific page that turns up here is not that difficult to beat. For example look at the first line, which is the LifeWire website. The DA is an almost unbeatable 75, which is why it is colored in red, however the PA is just 36, much more manageable, but we must not forget the DA. Next I will look at the number of links pointing to each page. Due to the fact that Google is now analyzing the sources of those links, and values higher links from authoritative domains, those number do not tell you as much as they once did. Still it is another factor to take into consideration. Finally I will look at the estimated visits page because that can give you a very rough estimate of how many products you might be able to sell with an excellent article. 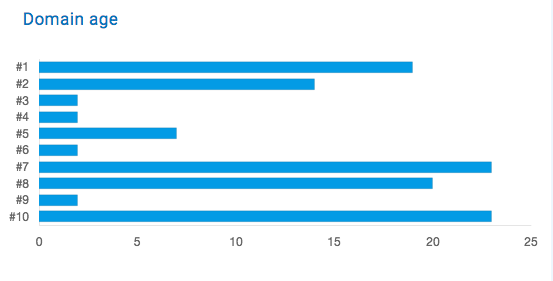 My rule of thumb is that for every 10 visits, 1 will actually buy, but I have had really well built review articles that would have an even higher conversion rate. Once I am confident that I have found a niche that has some amount of potential, I like to check and see if I can’t find a better keyword pertaining to that niche. So I take a look on the left side of my Ferzy page where I get the same suggestions that the Google Keyword Tool would have given me, except that here I get a lot more details. The first reason why I prefer to stay in Ferzy for this part of the research phase is because it allows me to see the exact number of searches for each keyword. Google now groups its number of searches in batches of over 100 monthly searches, over 1000, and so on, and that is very impractical for our purposes. Next what I like to do is actually click on other potential keywords to see how they rank. I don’t have to manually search for them because once I click on a keyword Ferzy displays all the info automatically. And I can always go back to my initial search by clicking the search button, or I can keep going down the rabbit hole, trying to find new ideas. 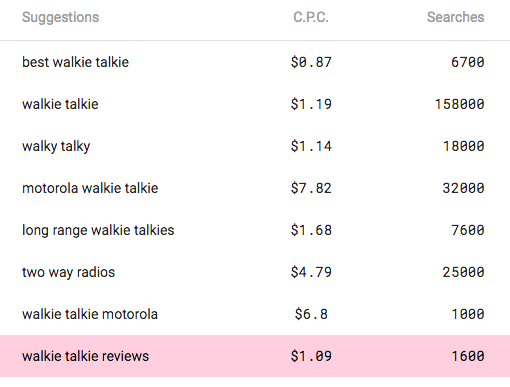 With an SEO difficulty score of just 30 out of 100, “walkie talkie reviews” might look like a more promising keyword, but a quick glance of the current top 10 ranking websites tells me that there are already a lot of people going after this word with specifically built websites. The process of looking for that better keyword may not turn up a better alternative, but it does help me take an even more important step in building an excellent article and a more complex website. It allows me to explore all the potential inquires Google has received on a given keyword. Knowing that, I can start grouping my keywords. So I will start creating 2 lists. One is for the original keyword article, and a second one for potential new articles. You may note that apparently some people spell walkie talkie with an “Y”, so my article will alternate between these 2 forms of spelling. Going down the list you will note that there are a lot of searches for “long range walkie talkies”, “cheap walkie talkies”, and “water proof walkie talkie”. This way I already have the categories I need to follow in order for my readers to get all of the information that they may need on the subject. Furthermore, Google will note that I am touching on all of these different subjects, and, even though I may not rank very highly on each individual category, I will rank higher on my original keyword because of the level of detail I am obviously putting into my article. 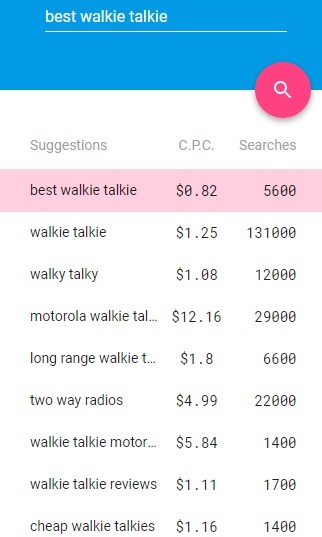 You may also note that people seem to be searching for “Motorola walkie talkie” and “Cobra walkie talkie”. As you can probably imagine writing individual articles for these 2 keywords will go a long way towards showing to visitors to our new website that we really do know what we are talking about and we have taken into consideration all the major players on the market. Finally, I would just like to remind you that, while both of these brand specific keywords are almost impossible to rank for, if I put a “best” in front of either one of them, will make them so much more approachable, while still leaving a lot of meat on the bone for my own website to grow and turn a profit. Still, I personally am not particularly happy with the SEO potential of this keyword, so let’s look further for other interesting niches. Standard disclaimer: these are all interesting niches to me, you may want to look at your own pool of interests and just follow the steps I have already detailed. 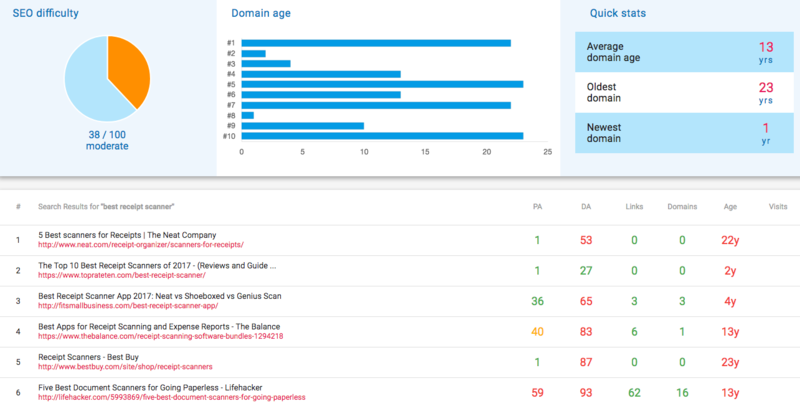 First thing you notice is that the SEO difficulty score is 47 out of 100 and the average domain age going for this keyword is 17 years. That does not boast well for us, but we need to take a closer look at the domains involved before making any decisions. 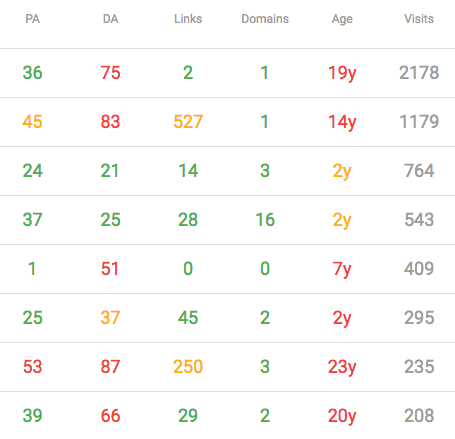 The Domain Authority of all top 10 websites is extremely strong, the top 4 domains also have strong Page Authorities, and the 5th ranking domain is Business Insider. So, although you might have a chance of cracking the first page, it would be extremely difficult and not worth it to even attempt the top 3 score. One thing that would make waking up more easily is if you could go to bed after having had a relaxing neck massage. So another item that I would be very interested in researching would be a neck massager. As usual, we are going to look in Amazon to see what price range these come in, and then modify the keyword to give ourselves a better chance of hitting the right niche. So I will be asking Ferzy to do its magic on “best neck massager”. First off, Ferzy tells us it is an easy keyword with a ranking of 20 out of 100. Further more though, we have 2 year old and 3 year old websites on the top 4 spots, with Amazon being cracking on the number 5 spot. The domain authority of those 4 top websites is not that high, and they have obviously sent a lot of links directly to their own neck massager pages. But the websites themselves are not focused on neck massagers so I am fairly confident in my ability to overtake them. So I am going to set “best neck massager” as one of my potential keywords for today, but I am going to keep looking. When my own brainstorming process hits a wall I head to the Amazon best seller page, and this is where I found, at the time of writing this article, that the Brother DS-620 scanner is a best seller. This particular model is a receipt scanner, and sells for quite a nice price. So let’s take a look at what we can learn about it from Ferzy. As you can already tell, this is a no go as far as I am concerned. Ferzy might consider it a medium difficulty with 38 points out of 100, but that simply means too much work. Plus the Domain Authority column is nearly entirely read, so we have a bunch of very strong, competitive websites. Making things worse is the fact that I can actually recognize some of those websites, and these are names that anyone will recongnize: lifehacker, pcmag, bestbuy and neat. But this is really why you need to start with such a wide range of potentials. So, the number one spot may be a little bit more difficult to conquer because we have a very old website, that specializes in all things about boxing, with a fairly good Domain Authority. Still, I like my chances of getting that spot because the boxing shoes article seems to be buried deep in the website, and it has a much smaller Page Authority. Better still, the next 2 spots are taken by websites dedicated to different forms of fighting, Muay Thai and MMA, so they are only tangentially connected to boxing shoes. The 4th spot is actually taken by a supplements website. 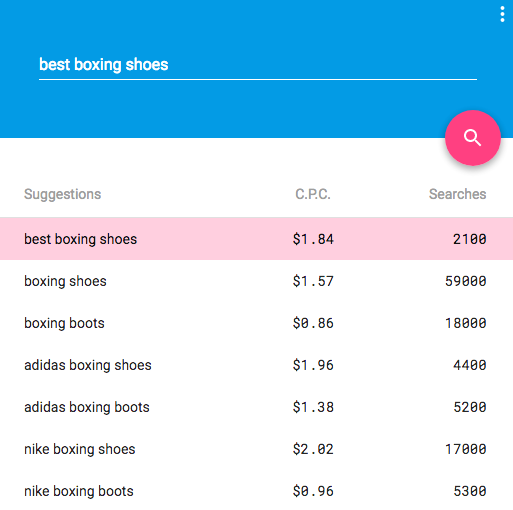 Finally, if I take a look at the suggestions box, just from the few suggestions I can get in a single print screen, I can see that people are interested in several big categories like Adidas, Nike and Lonsdale boxing shoes. I can build my main article around that, and I can dedicate a special article to kids boxing shoes, which is another suggestion in that same list. So if I take into consideration all of these factors, the low difficulty score, the fact that new websites, particularly websites that are not directly focused on boxing shoes have made it in the top 10, and also the fact that I have such a rich source of article and website development ideas, I can safely say that “best boxing shoes” is going to be my best choice for today. And this is where I am going to finish my article too. As we have analyzed the potential competition for so many keywords I hope you did notice just how many niche sites are still in the game, still ranking high in Google. Furthermore, we have found several excellent keywords that would allow you to build your own website. Finally, I have introduced you to Ferzy, the one stop tool that can help you instantly analyze the potential of any niche or the keywords attached to it. I really hope that you will give it a try as it has helped me a lot and I know it can do a lot for you too. Thanks Nick, for the awesome and detailed guide on how to use Ferzy to perform detailed niche analysis and keyword research! Two things I love about Ferzy that I don’t see in other keyword research tools that I’ve used. No three! There is a FREE plan available (not just a trial) for those who are unwilling or unable to pay for a good keyword research tool. PA and DA metrics are included. Many other keyword research tools stopped using these metrics and I prefer to use them, by far. Clicking on keyword suggestions opens up a new search automatically. Most other keyword tools, you have to manually start a new campaign. For these 3 reasons alone – I have no problem suggesting and promoting Ferzy as a go-to keyword research tool for my loyal readers and subscribers.